Some year's back, Chris lost his desire for live after his son died. Despite his grief, Chris,a journalist of the German TV channel „Choice“ has a good career. His wife, Ingrid wants to adopt a child but Chris is not so sure. He travels to a refugee camp outside Tbilisi accompanied by his camera operator Hans to film the people living at the camp. Upon returning to his Tbilisi hotel, Chris accidentally meets Akhmad, who wants to talk to him. Chris declines as they are on their way back to Germany. On their way to the airport they are suddenly kidnapped by Chechen rebels upon Akhmad’s orders and taken to a training camp in Georgia. There and now dressed in camouflage they meet Akhmad once again as he now re-introduces himself as their new producer for a film that shows the injustices of the Chechen war. 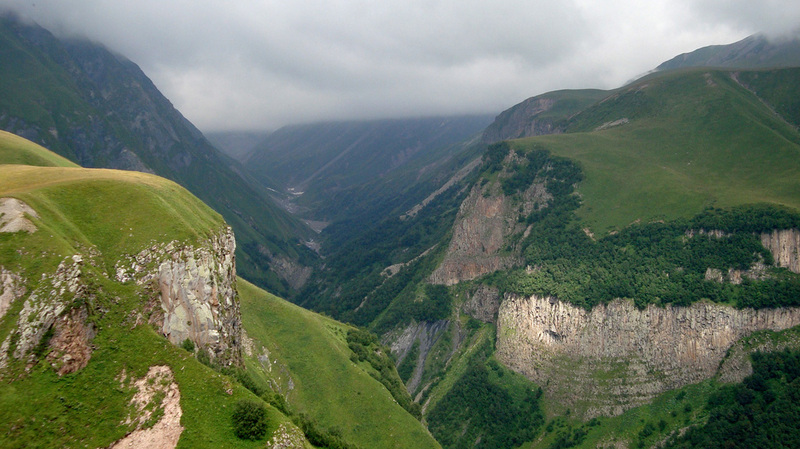 Chris and Hans have to travel with the group of rebels to Chechnya through the Caucasus Mountains. The rebels want to support a group headed by Akhmad's father, Mohammed. The two journalists are supposed to document their actions with the camera. They cross the Chechen-Georgian border in the dead of night, continuing to travel through forests and several destroyed villages. In one such village they are ambushed by Russian soldiers and Chris accidentally kills one of them. Near the Georgian border they arrive at a house belonging to Vakha, a former Chechen freedom fighter who is living with his granddaughter. Akhmad leaves behind an armaments cache at his house. Chris gradually understands Akhmad's grievances against the Russians after witnessing the brutality and the destruction caused by the Russians in Chechnya. When the group arrives at Mohammed's camp, they find it scorched. In his rage, Akhmad seizes a hospital building in a Chechen village and demands the release of his father. When he finds out that his father is dead, Akhmad loses control and kills some of the hostages and demands the return of his father's body and a bus for their getaway. Taking the remaining hostages with them they board the bus and escape. Upon entering the edge of a forest, they are ambushed and the bus overturns. They leave the hostages in the bus and try to escape into the forest. Hans gets shot and dies. Chris has to leave him behind. Akhmad also gets hit by a bullet but they keep running but Akhmad soon collapses and dies. Chris films him, recording his last words. Exhausted, Chris follows the trail back to the Chechen-Georgian border and after some time arrives at Vakha's house again. The old man welcomes Chris to his house. Vakha does not understand English and Chris understands neither Chechen nor Russian. Despite that, Chris learns that Vakha lost his children in the war. He has his granddaughter left now and damns the fighting. Chris tells him how he lost his son. The Russian militia eager to find Chris’ film footage track him to the house the next day. Aizani, Vakha’s granddaughter hides Chris in the woods, but the militia find the hidden ammunition left at the house by Akhmad and Chris’ hard drive and memory sticks. Vakha argues with the soldiers and they kill him. Chris buries Vakha and leaves with Aizani for the Georgian border.